← Our New Rescue Vessel has arrived! We had a very happy husband and wife pop into the Point Clare base. Ryan was the lucky man the had the winning raffle ticket for our recent boat raffle (ticket number 15372). 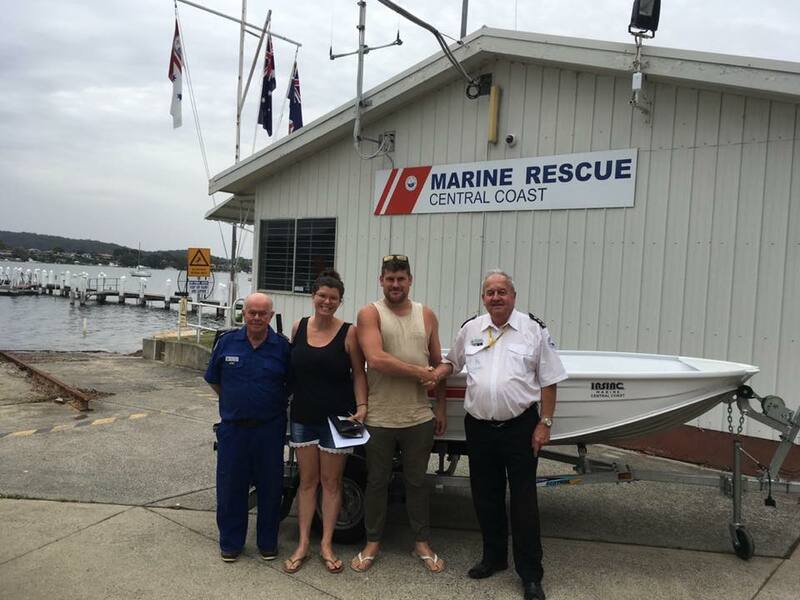 Roger Palmer (Unit Commander) and member Ian Leafe handed the boat over to Ryan and his wife. They are looking forward to take their new boat out on the water with their children. We would like to take this opportunity to thank everyone in the community that has supported us during our raffle, without your support we cannot keep doing what we do which is saving lives on the water.